Insurance policies are intended to provide policyholders with protection from financial loss. Whether it is home, auto, health, or some other kind of insurance, consumers are expected to be honest when submitting their initial paperwork and any subsequent claims. In some cases, policyholders may exaggerate or completely fabricate losses or damages they sustained in an effort to financially profit from their claims. When policyholders allegedly lie about the information in an insurance application or claim, they can face very serious criminal charges. If you think that you are currently under investigation or have already been arrested for allegedly submitting a fraudulent insurance application or claim, it will be in your best interest to immediately retain legal counsel. 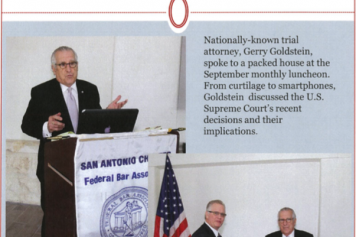 Goldstein, Goldstein, Hilley & Orr has been defending clients accused of insurance fraud and other white collar offenses throughout Bexar County since 1968. 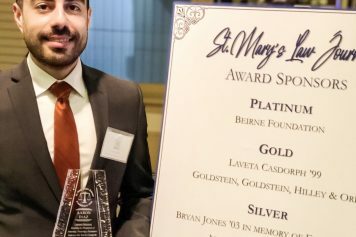 Gerry Goldstein and Cynthia Orr are San Antonio criminal defense attorneys who are both dual Board Certified in Criminal Law and Criminal Appellate Law by the Texas Board of Legal Specialization. Call (210) 226-1463 or submit an online contact form right now to receive a complete evaluation of your case during a free, confidential consultation. How can a person be charged insurance fraud? Where can I find more information about insurance fraud in Texas? Present or cause to be presented to an insurer a statement that they know contains false or misleading material information. They solicit, offer, pay, or receive a benefit in connection with the furnishing of goods or services for which a claim for payment is submitted under an insurance policy. In any of these cases, the classification of the crime depends on the value of the claim. If the value of a claim is not readily ascertainable, the value of the claim will either be the fair market value, at the time and place of the offense, of the goods or services that are the subject of the claim or the cost of replacing the goods or services that are the subject of the claim within a reasonable time after the claim. First-Degree Felony if the value of the claim is $300,000 or more, or if the alleged act was committed in connection with the commission of the offense places a person at risk of death or serious bodily injury. It is important to remember that in order for a person to be convicted of defrauding or attempting to defraud an insurance company, a prosecutor will need to prove beyond a reasonable doubt that the alleged offender knowingly intended to deceive the insurer. An experienced attorney will know how to investigate your case and may be able to present evidence that the errors in your case were the result of an honest mistake. Texas Department of Insurance (TDI) | TDI Fraud Unit — The stated mission of the TDI is to “protect insurance consumers by regulating the insurance industry fairly and diligently, promoting a stable and competitive market, and providing information that makes a difference.” The TDI Fraud Unit employs peace officers, non-commissioned investigators, prosecutors, and criminal analysts to work on a variety of cases. On this website, you can find fast facts about the Fraud Unit, learn more about insurance fraud cases, and read recent news updates. Coalition Against Insurance Fraud — This alliance of consumers, insurance companies, government agencies, and others “empowers consumers to fight back, helps fraud fighters better detect this crime and deters more people from committing fraud.” On this website, you can find fraud news, stats, and videos as well as scam alerts. You can also learn more about the impact of fraud and why you should worry about it. Have you been arrested or do you think that you could be the target of an investigation for allegedly defrauding an insurance company in Texas? You may be able to get these criminal charges reduced or dismissed by having skilled legal representation. Goldstein, Goldstein, Hilley & Orr serves clients throughout the greater Bexar County area. Our proven criminal defense attorneys in San Antonio can review your case as soon as you call (210) 226-1463 for a free consultation.